In this unique nonfiction picture book, the main character is a bicycle that starts its life like so many bicycles in North America, being owned and ridden by a young boy. The boy, Leo, treasures his bicycle so much he gives it a name -- Big Red. But eventually Leo outgrows Big Red, and this is where the bicycle's story takes a turn from the everyday, because Leo decides to donate it to an organization that ships bicycles to Africa. Big Red is sent to Burkina Faso, in West Africa, where it finds a home with Alisetta, who uses it to gain quicker access to her family's sorghum field and to the market. Then, over time, it finds its way to a young woman named Haridata, who has a new purpose for the bicycle -- renamed Le Grand Rouge -- delivering medications and bringing sick people to the hospital. This book makes an excellent choice for cultural studies classes; author Jude Isabella has provided several terrific suggestions in the back of the book for projects large and small, while a map shows the distance the bicycle traveled across the Atlantic Ocean. Award-winning illustrator Simone Shin's digitally composed artwork includes evocative depictions of Alisetta's and Haridata's communities in rural Africa, creating vivid comparisons between Leo's life and their lives. Youngsters will learn how different the world is for those who rely on bicycles as a mode of transportation, and how one ordinary bicycle -- and a child's desire to make a difference -- can change lives across the world. This book also offers an excellent opportunity for expanding character education lessons on caring, compassion and empathy to include the wider world. Honestly, it's the first time I listen about bicycle's donations. Probably wouldn't have ever known if it wasn't for this book. It's such a great idea, to donate your bicycle to needed communities, where a bicycle is more than a transportation system but also a tool for work, or even an ambulance! 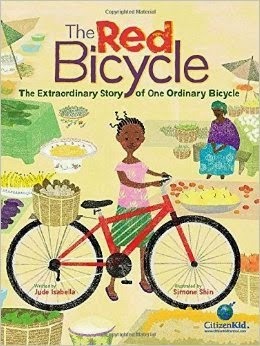 It's a short book as most of the picture books, but you can follow the amazing journey of a red bicycle from USA to Burkina Faso. I used to have a red bicycle, and when it was too small for me I gave it away to one of my father's coworkers for his son for Christmas. I always wanted a new bike, I imagined myself on Sundays just enjoying the wind and the sun while driving my bike, but now I see bikes in a whole new light. At the end of the book there is a list of places you could contact for bike donations it you have some bikes you don't use more. It has beautiful illustrations by Simone Shin, and being a non-fiction story, not only children will enjoy it but also learn a way to help communities in need around the world. 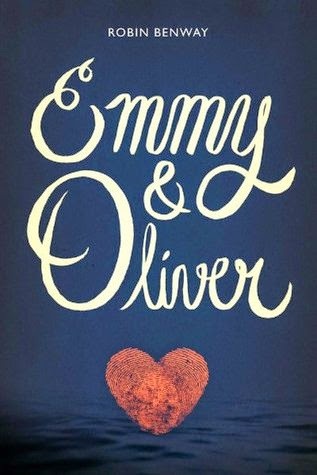 Readers who love Sarah Dessen will tear through these pages with hearts in throats as Emmy and Oliver struggle to face the messy, confusing consequences of Oliver’s father’s crime. 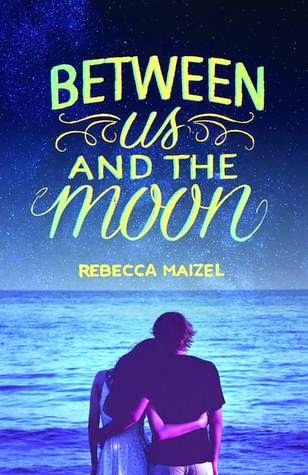 Full of romance, coming-of-age emotion, and heartache, these two equally compelling characters create an unforgettable story. 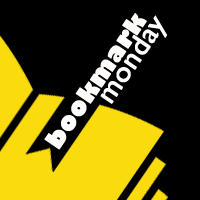 Bookmark Monday is a weekly meme created at Guiltless Reading, where you can show all your pretty bookmarks...or bookmarks you want to have! If you want to join, just go here. Hi guys!! I'm back from Bogota and had an amazing time! I spend most of my time at La Candelaria, which is at the historical downtown of the city and also a very bohemian place full of students. 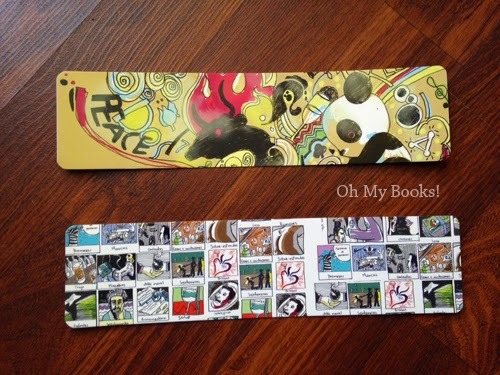 That is why I found these cool bookmarks from www.puntagraphic.com. I couldn't say where because honestly I was just walking and found them on a little shop that didn't have a name (or I didn't see it). I wanted to see this movie because first, I'm a fan of Juanes, a Colombian singer who sings the song 'Juntos' (Together) for this movie, but also because it's based on the real history of a group of young men, sons of immigrants (mostly Mexicans), living in a small and poor town called McFarland, and I wanted to see how Disney showed their lives. The story begins with coach White, who only could find a job at this poor town very different from what he and his family wants. But instead they found a community that even with their cultural differences, welcome and befriends them. I liked that even when it was a Disney movie, it shows without being excessively dramatic, the real life of these kids trying to participate in a community where basically they didn't have chances to progress. It's based on a real story, which always makes it more interesting to me. The movie has some changes. but it doesn't change the ending and it makes you think: Would you be able to do something like this? Help some kids and in the process changes their lives, the lives of their families and a whole town? 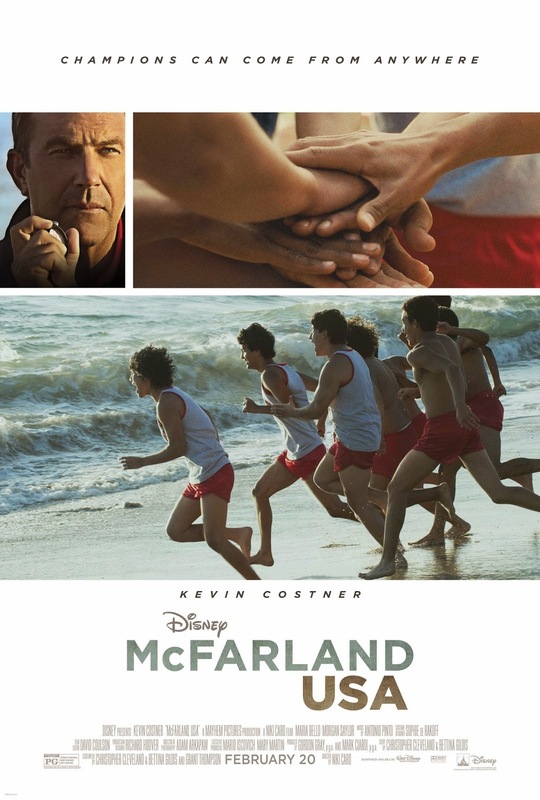 I really liked McFarland, USA, although sometimes I thought it was a little bit slow (but my boyfriend disagree). It's much more deep than I thought, I'll admit I was expecting the typical american dream movie, and I found a realistic story with a happy ending. 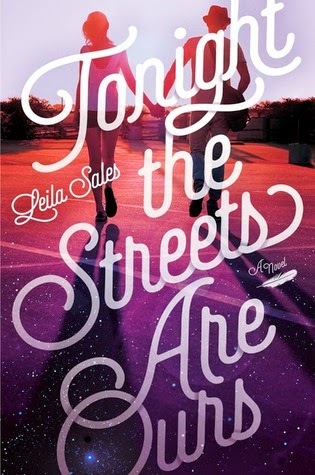 A luminous young adult novel that evokes Judy Blume’s Forever for a new generation. Ever since Sarah was born, she’s lived in the shadow of her beautiful older sister, Scarlett. But this summer on Cape Cod, she’s determined to finally grow up. Then she meets gorgeous college boy Andrew. He sees her as the girl she wants to be. A girl who’s older than she is. A girl like Scarlett. Before she knows what’s happened, one little lie has transformed into something real. And by the end of August, she might have to choose between falling in love, and finding herself. 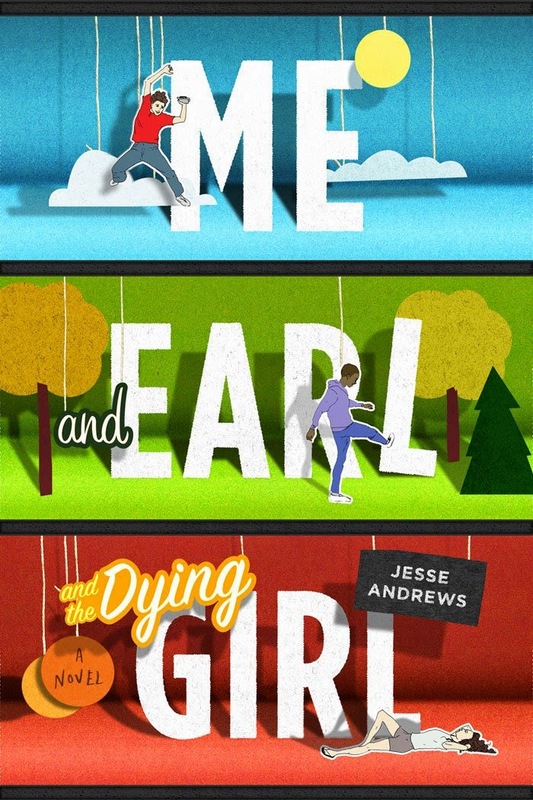 Fans of Jenny Han and Stephanie Perkins are destined to fall for this story about how life and love are impossible to predict. 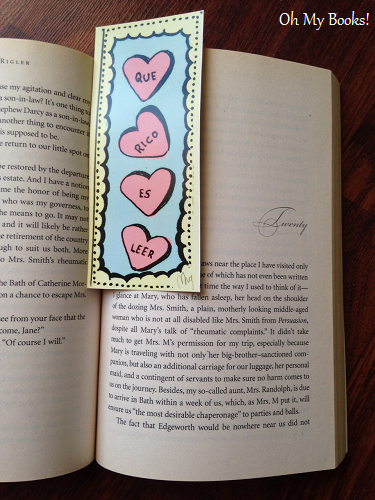 I bought this bookmark at a little magical bookstore called 'abaco libros y cafe' last year at Cartagena de Indias, Colombia. 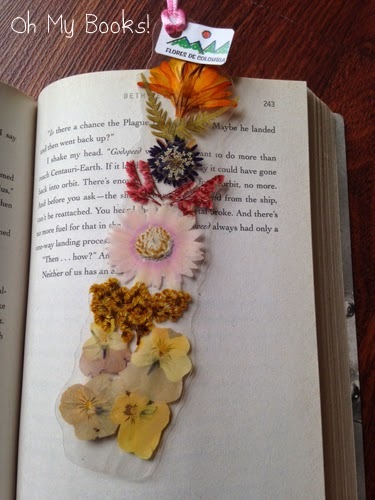 It's very simple, but I loved the flowers, and as it says the tag, all of the flowers are native from that country. Isn't it beautiful? I'm actually going back to Colombia tomorrow!! I know, crazy, right?! But this time to Bogota. 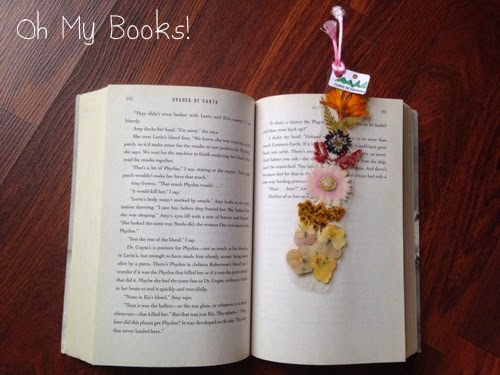 It will be for a couple of days, so maybe I'll be a little bit inactive, but I'm pretty sure I'll find new bookmarks :) If you are interested, you can follow my travel at instagram @magabygc, my travel blog and also snapchat: magabygc. Have you been at Bogota? I'm pretty sure I'll spend my days at free museums and drinking Juan Valdez hehe. Have a great week! 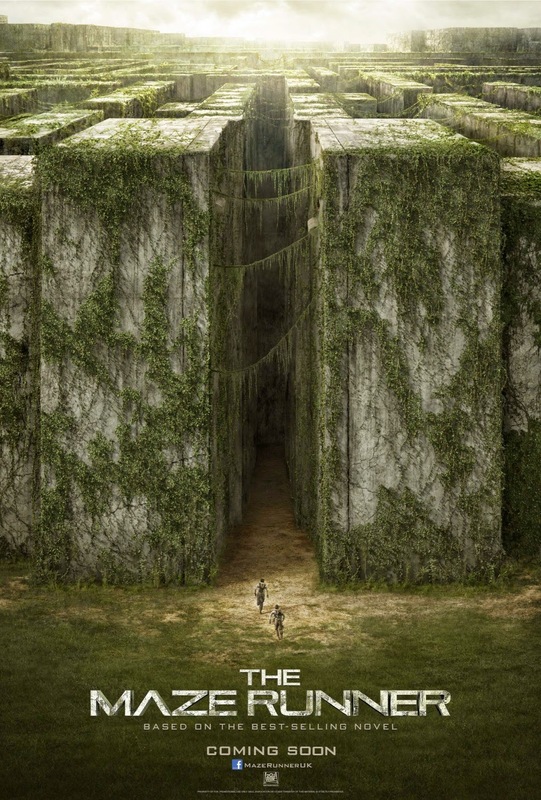 The Maze Runner is based on the books written by James Dashner. I haven't read any of the books, I know they were really popular, but I wasn't interested. I wasn't sure about the movie either, but I really liked it! I watched it at home and usually at home I get distracted, but not with this movie. The story was mostly new to me, I knew a group of boys were trapped inside a maze, but that was it. So I really enjoyed the development of the movie. Why are they there? Who put them there? It kind of reminded me to another movie, Cube, which scared me a lot, and also to Lords of the flies. It's a movie full of action, everything happens fasts. The maze is dangerous, but I think more dangerous was having all of those boys trapped inside and fighting for dominance. Personally, I'd have been one of the people that wanted to find an exit, even if that meant getting lost at the maze. I think what I liked more were the surprises, eventually finding out why were they there, and the ending, ¡wow! I wasn't expecting that. Now I want to see the next movie: The Scorch Trials. Have you seen The Maze Runner? Did you like it? Have you read the books? Eva has always wanted to write a modern classic—one that actually appeals to her generation. The only problem is that she has realized she can't "write what she knows" because she hasn't yet begun to live. So before heading off to college, Eva is determined to get a life worth writing about. Soon Eva's life encounters a few unexpected plot twists. She becomes a counselor at a nearby summer camp—a job she is completely unqualified for. She starts growing apart from her best friends before they've even left for school. And most surprising of all, she begins to fall for the last guy she would have ever imagined. But no matter the roadblocks, or writer's blocks, it is all up to Eva to figure out how she wants this chapter in her story to end. 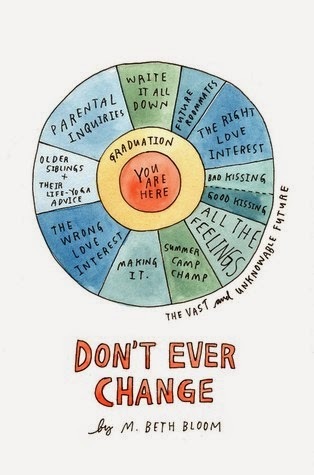 Perfect for fans of E. Lockhart, David Levithan, and Rainbow Rowell, Don't Ever Change is a witty, snarky, and thought-provoking coming-of-age young adult novel about a teen who sets out to write better fiction and, ultimately, discovers the truth about herself. 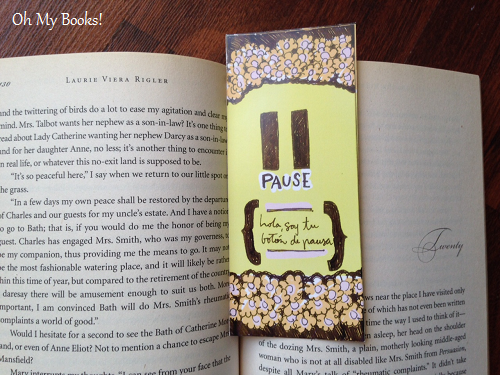 Bookmark Monday is a weekly meme created at Guiltless Reading where you can show all your pretty bookmarks...or bookmarks you want to have! 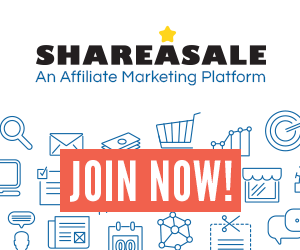 If you want to join, just go here. 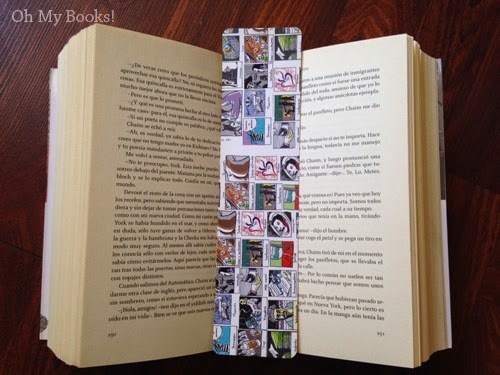 Some of their designs are also available at USA at @el_tendederousa. Did you like them? I fell in love the moment I saw them, it would be great it they were made of a harder material, but I just have to be careful. Here is the trailer. 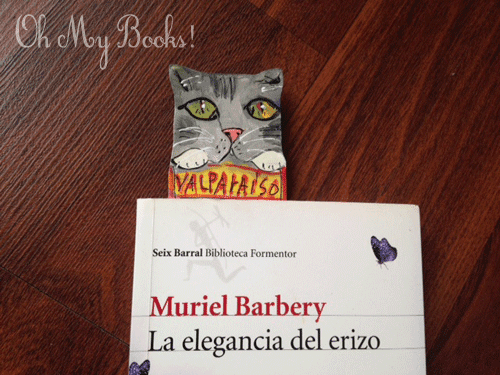 Have you read the book? I think the book sounds good. Do you recommend it? I've read a lot of reviews about the Insurgent movie, and most of them said it was so different to the book, they didn't enjoyed it. But I haven't read the book, I only read Divergent, and I've learned that if I compare a movie to a book, it would always be disappointing.. 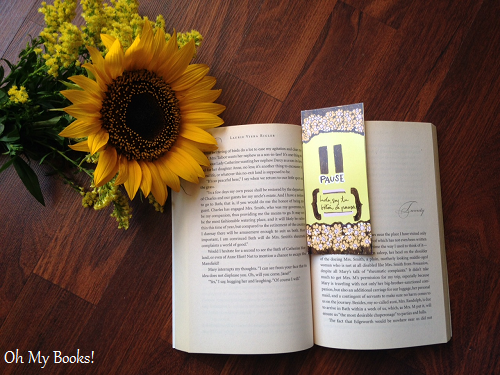 Since I didn't read Insurgent, I did enjoyed a lot the movie. It was full of action and easy to get into the story. The movie theater was full of people, and they reacted every time something happened. 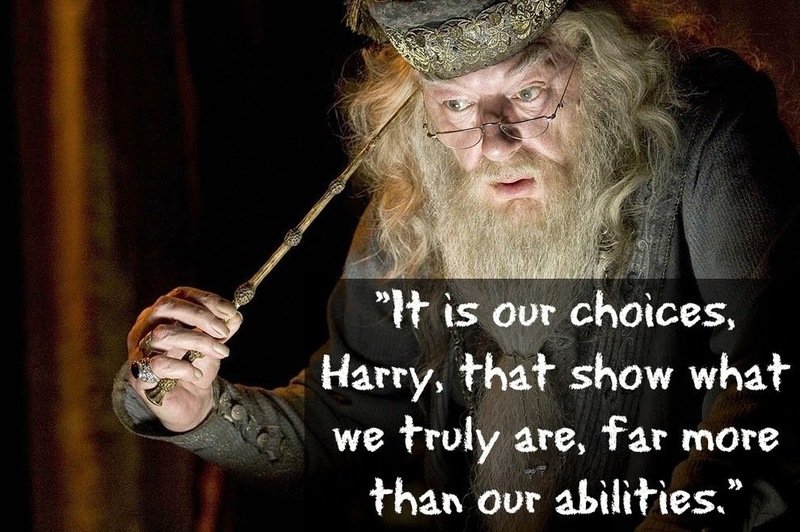 As always with YA books and films, I feel like the characters are a bit immature and too dramatic sometimes. 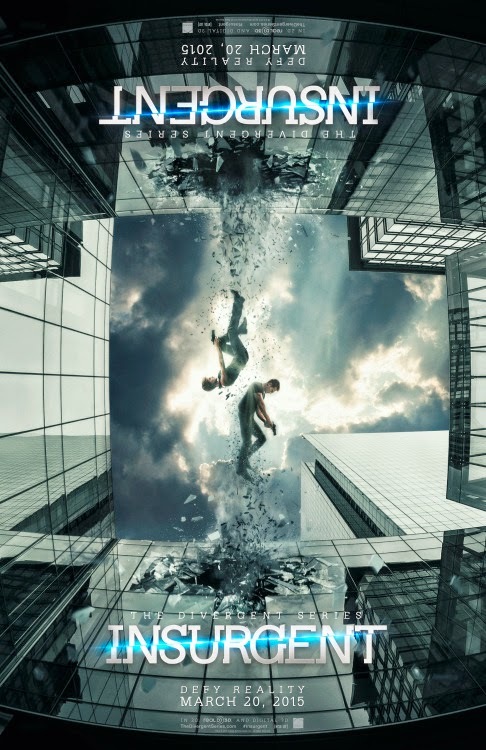 That didn't stop me to understand Tris, and her actions...but it wasn't surprising. My favorite was Four. I don't remember Four leaving a great impression on me when I read Divergent, but in the movies he did. Not only because he is hot (I have to be honest haha), but also more mature that the others. I liked to discover more about his family too. I love plot twists, so Insurgent didn't fail at that, but it you have read a lot of dystopia, it won't really be a surprise. Anyway, the reason I didn't read Insurgent was because I thought it was going to be a slow book, only to make longer the series. I'm happy the movie wasn't like that, it was full of action and plot. 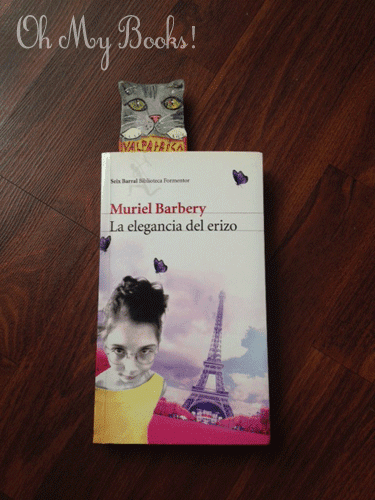 Now I'm curious about the book, if it's so different, what really happens? What do you think? Did you like the movie? Should I read the book? 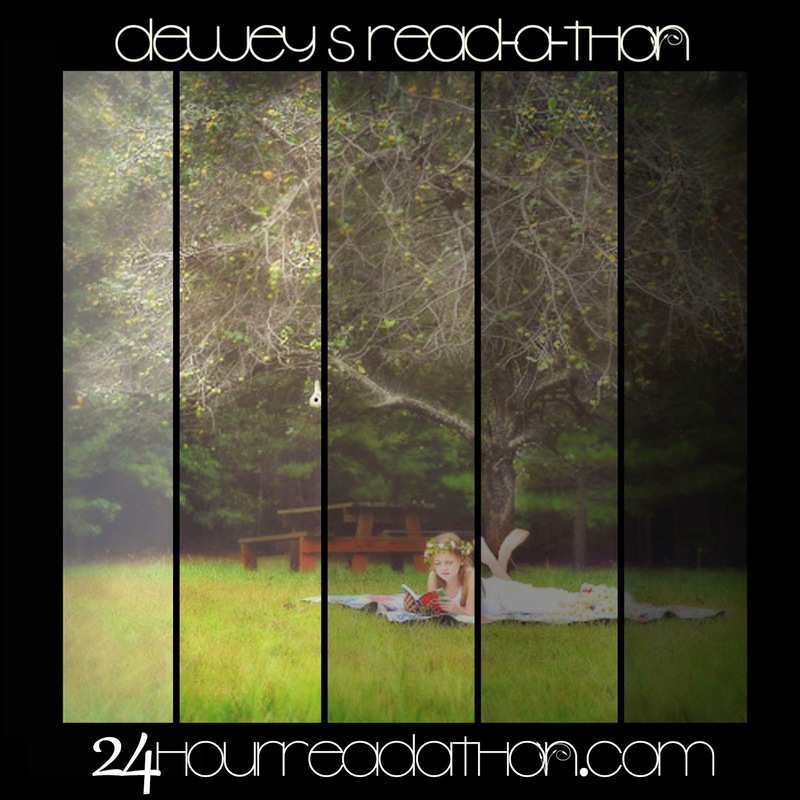 I feel like I need a little bit of motivation to read so the Dewey's 24 hour read-a-thon seems like a great idea! 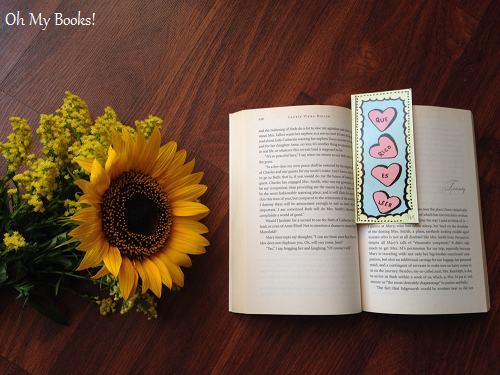 It's going to be on April 25th, 2015, which is saturday, a good day for me to read. You can join here but if you want to participate, but aren't sure you can read, you can join as a cheerleader! I'm going to be posting must of my updates at my twitter @ohmybooks and also here on my blog :) If you decide to join, please let me know! It was an adorable film, I loved it. 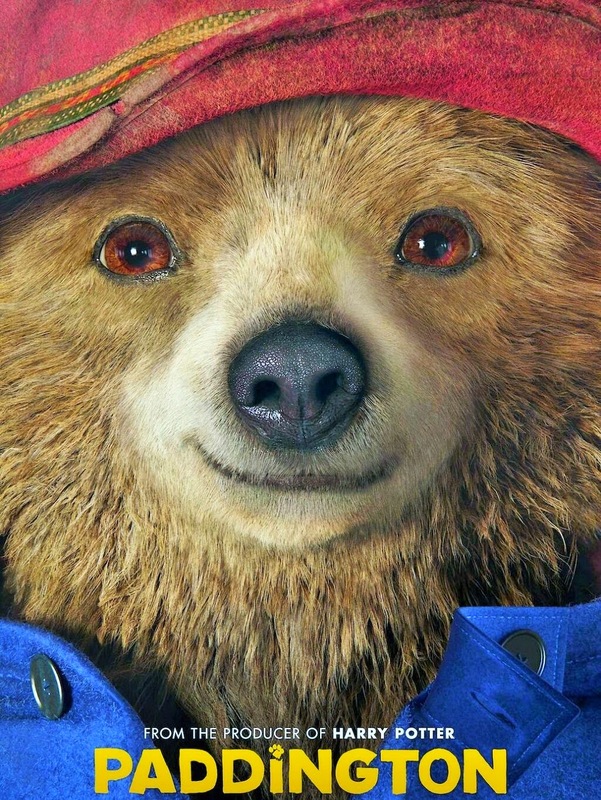 But besides recommending it to you, I wanted to ask you to help Cholita, a 'paddington' bear in Peru who was mistreated and suffered a lot at the hands of a circus. She's now being saved, but the Animal Defenders International is asking for donations to move her to a better home where she can have treatment and live in peace. 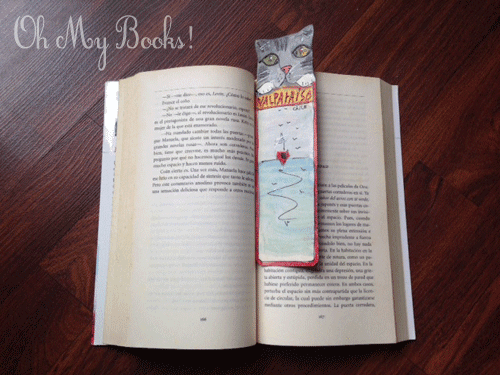 This kitty bookmark was made by an artisan at Valparaiso, Chile. It's made of paper and I think glue. The artisan name is Victor Catro Kurts (gatosvalpo AT gmail.com) and he sells all kinds of handmade cat crafts at Paseo Gervasoni. I thought it was so cute, I had to buy one! What do you think? Do you like it? 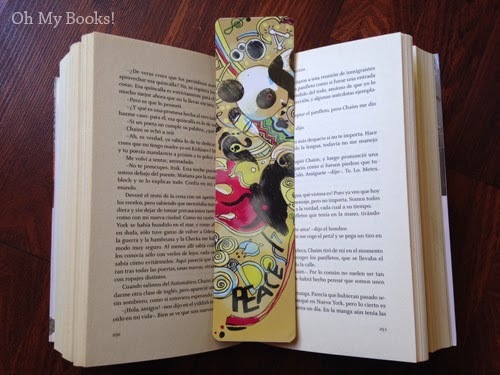 I can't resist to buy bookmarks when I travel and specially if they are handmade. Also, who can resist cats? hehe. I've been thinking about posting a little of other things, like movie reviews or about my life, at my blog but wasn't sure if you would like to read about this here. 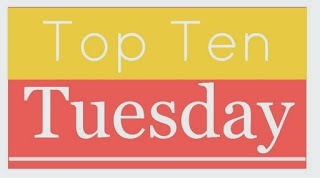 After Bloggiesta, I realize must people like these kinds of posts...so I'm starting to post my opinion about movies since I actually see as many movies a year as I read books, maybe more! :) I'm still thinking about what else would you like to see here, so if you have ideas, please let me know. I was surprised, because even when I knew exactly what was going to happen, I really liked it. My favorites were the mice (so cute! ), but also liked Ella as a character. She shows that what's inside is what is worth it. Her goodness is infinite and we need more people like her in the world. Also, I loved the dancing scene and the dress!. 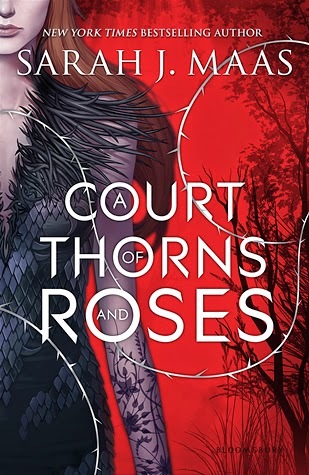 Super recommended, it was a good surprise even for someone like me that isn't a fan of the traditional princesses. 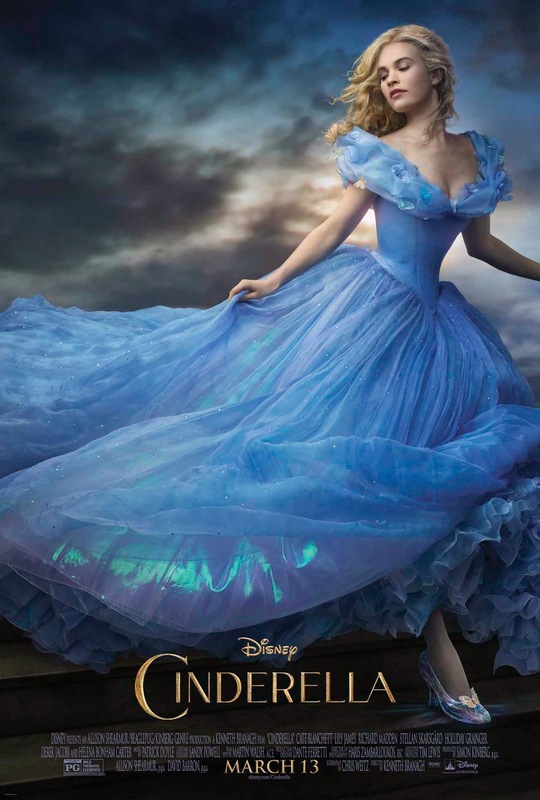 I hope Disney do more of these real people movies, Cinderella was great.